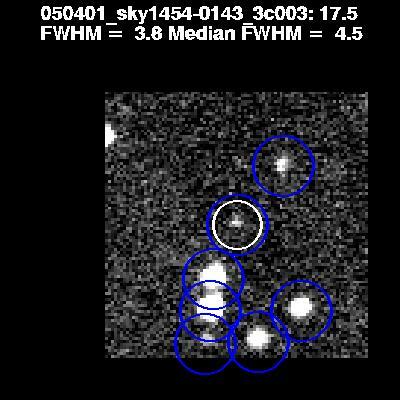 The object is present in quiescence in the Sload Digital Sky Survey, and full details can be found here. The r-band magnitude is 20.43, and g-r=0.01. The object was targeted for spectroscopy as a serendipitous quasar target. Spectrum of SDSS/ROTSE3 J145520.95-014848.3 in quiescence. The redshift calculated by the pipeline is 0.0047 with a confidence of 0.22, which means that this might be a spurious calculation. The spectrum might be consistent with a hot white dwarf, which would mean this is another galactic CV, although we do not have a positive identification at this time.